St. Petersburg doesn’t need better transit, according to local Republican state legislator Jeff Brandes, because self driving cars are going to make transit irrelevant. That’s why Brandes is fighting a ballot issue to be decided today in Pinellas County that would expand bus service 65 percent, he told Fortune. 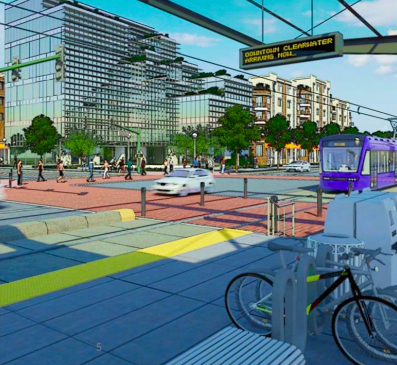 It’s a tactic that transit opponents have been using for decades — very similar to how light rail foes used to invoke “personal rapid transit” as the one true transportation technology of the future. If someone buys a car a decade from now it might have to be junked five years later, once driverless cars take over and become mandatory. We don’t want people to waste their money on such a poor investment, so we should probably just ban cars entirely until scientists get the autonomous vehicle technology locked down. Everyone will have saved so much money that they’ll be able to buy new cars as fast as the factories can churn them out. If St. Petersburg going to be proactive about this whole self-driving car thing, might as well attack it on all fronts. Elsewhere on the Network today: Exit 133 reports on a success story from a park in Tacoma, Washington, where people are pleased with the results of new car-free hours. Longbeachize is encouraging all residents to walk to the the polls, which should all be within a 10-minute stroll. And Santa Monica Next reports that the city has added almost as much parking as housing since 2003.